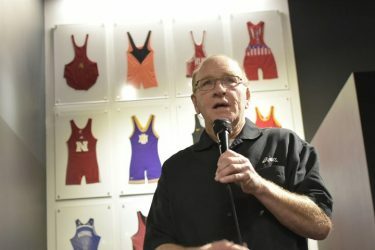 A group of wrestling greats, including Dan Gable, a Distinguished Member inducted into the National Wrestling Hall of Fame in 1980, came to the museum to celebrate the ribbon cutting with Gable beer from Singlespeed Brewing. 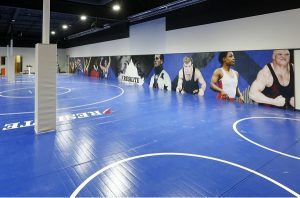 The renovation has expanded the wrestling room and added four kiosks for museum visitors to use. For Gable, museums are about the future. John Bowlsby, National Wrestling Hall of Fame board member, Waterloo native and wrestling hall of famer, also spoke. Bowlsby encouraged people to get wrestling teams to the center. The highlight of the renovation is the expanded wrestling room.